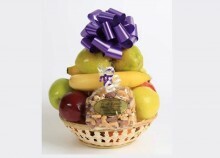 | Same Day Local Delivery! 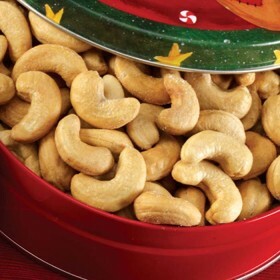 Find the perfect Holiday gift! 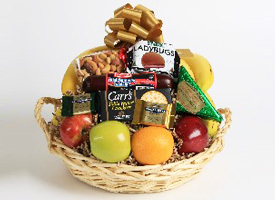 Send a Holiday Basket of Fresh Fruits with tasty candy and chocolates! 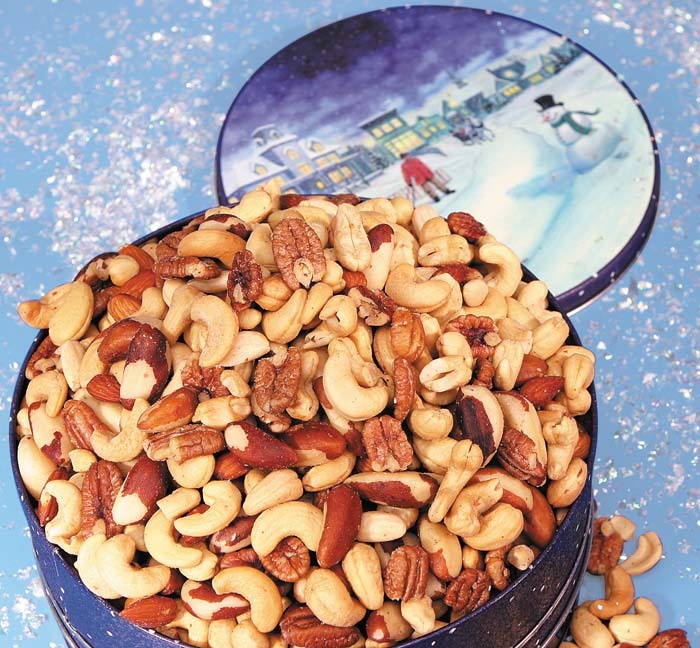 Home for the holidays is the theme for this lovely winter scene gift tin filled with Deluxe Mixed Nuts. 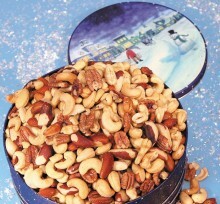 2lb Deluxe Mixed Nuts- Roasted and salted Almonds, Cashews, Pecans, Pistachios, Filberts and Brazils. Ships anywhere in the US! 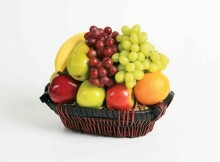 We want you to be 100% satisfied with your purchase and experience with Fruit Ranch. 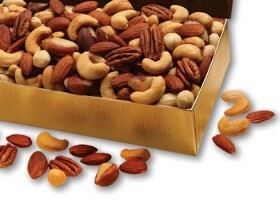 We always make it right! 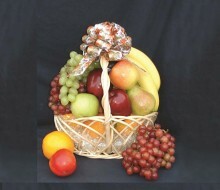 Same Day Local Delivery Available!